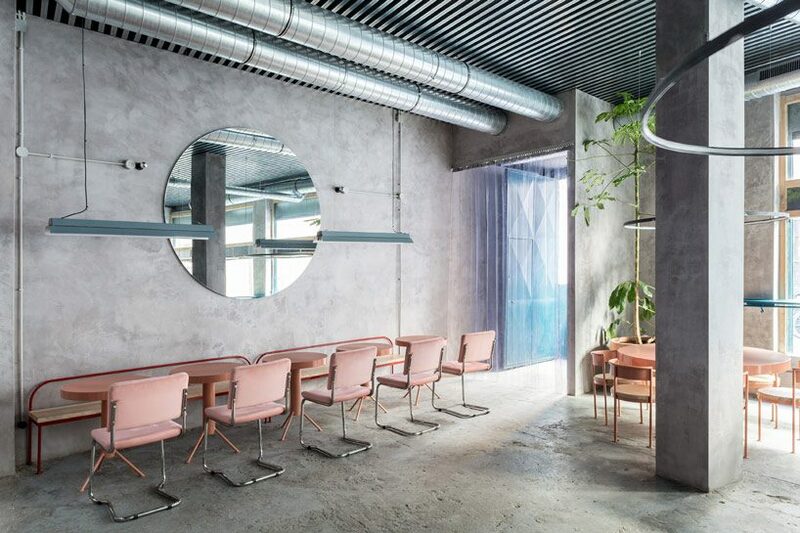 lucas y hernández - gil was born in 2007, through the collaboration of the architects cristina domínguez lucas and fernando hernández-gil. 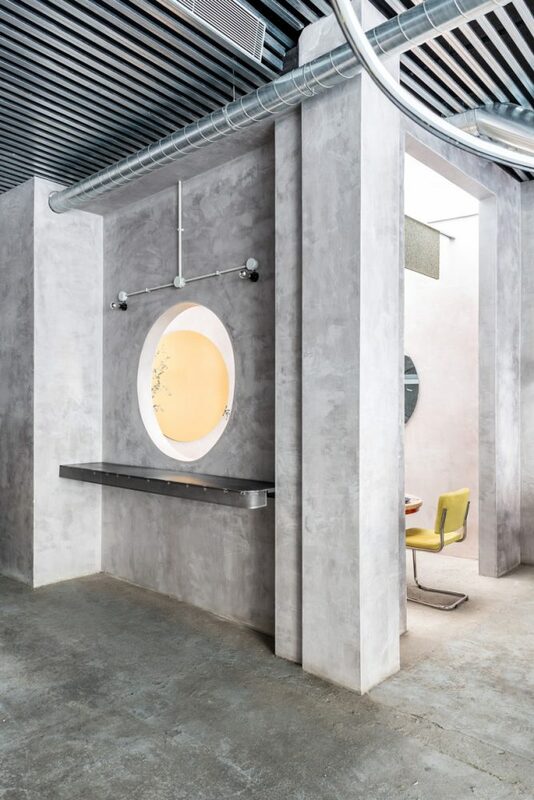 recalling giorgio morandi’s still-life paintings, lucas y hernández-gil studio’s interior concept for a restaurant/cocktail bar in the center of seville is a collection of strongly-colored pieces that pop over a silver-gray background. 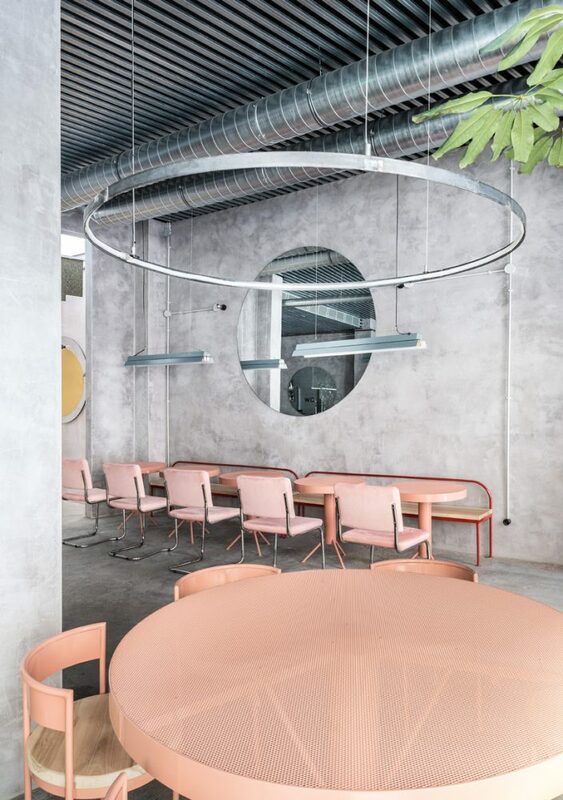 founded in 2007 in madrid, the studio tries to discover a story where all the elements fit together in every project. 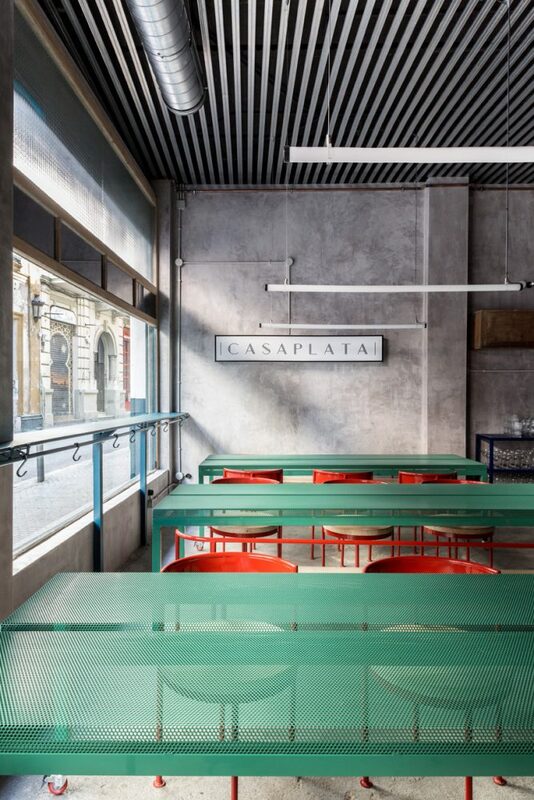 unlike most restaurants looking for a historical revival from the past, lucas y hernández-gil design for the casaplata-dubbed venue looks to the future. 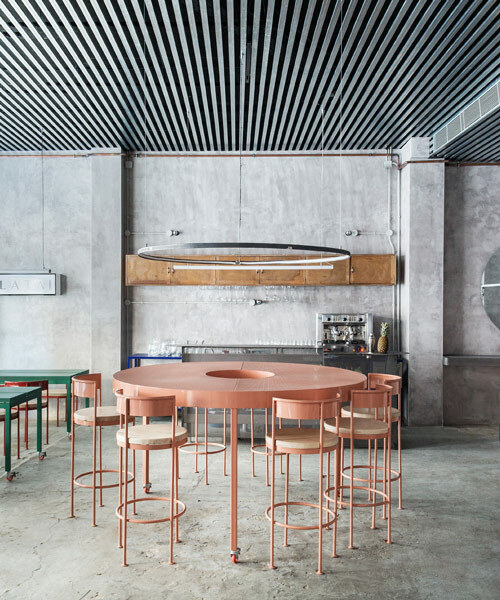 the raw concrete structure with sharp floors is decorated with bare utilities spreading over the ceiling and futuristically shaped furniture. 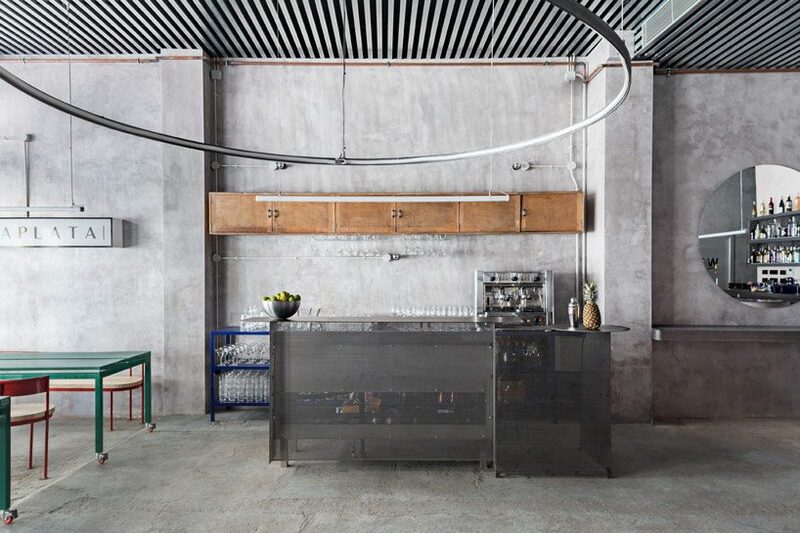 vaporous fittings made of colored perforated metal highlights the gastronomical experience both simple and unobtrusive. 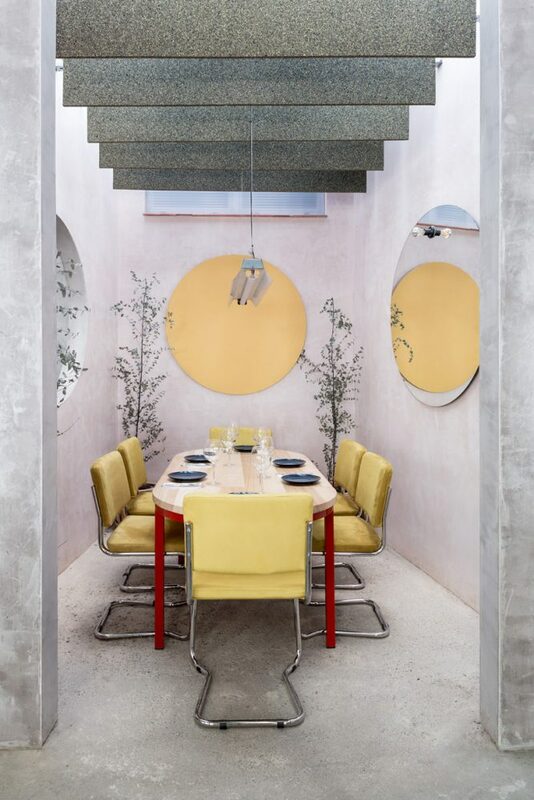 circles are used throughout elements of the décor — in lighting, mirrors, and openings — connecting the areas together, alluding to an outer space vision. 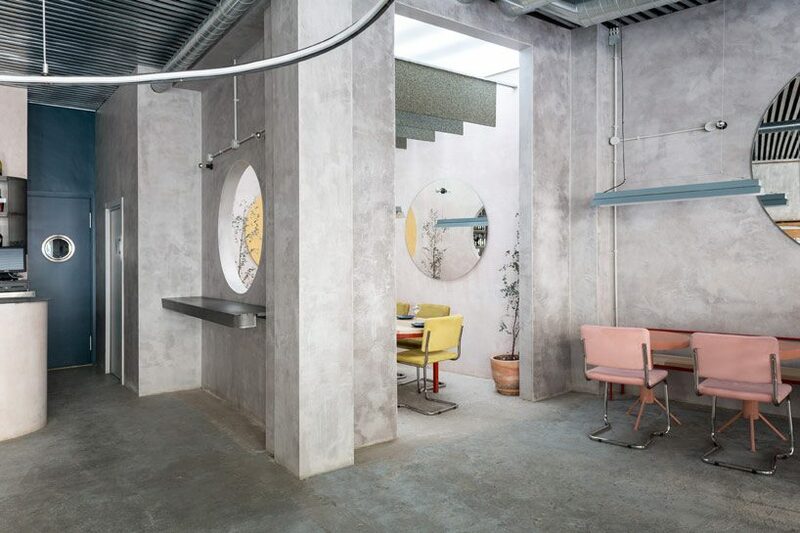 the interior is reminiscent of the giorgio morandi’s color palette — the boundaries between the bright objects arranged on a serenely-colored canvas are blurred, and the space is only divided visually. meanwhile, plants, warm lights and colors bring a sense of fresh air and coziness into the cold gray room.